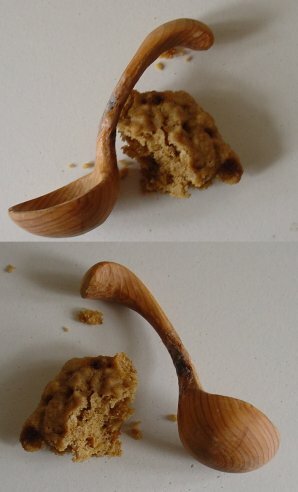 Two little spoons made a long time ago, from highland yew wood. The long one is still silky smooth. Alas I didn’t finish the cute dipper spoon because I was ambushed by an unexpected knot.